We will not rent or sell your name, address, email address, credit card information, or personal information to any third party. If you have purchased from our store or subscribed to one of our newsletters, we may occasionally update you via email of special opportunities. We may also contact you if you have entered one of our contests or sweepstakes. Telcom and Data uses the latest technology to protect your credit card information and does not release it to any outside organizations. We understand how important security is; therefore, we use a secure site to protect you during your shopping experience. This is indicated by the "s" after the https in the URL during Checkout which stands for "secure." To protect your information, we use Secure Sockets Layer (SSL) technology, which encrypts valuable information. If your browser does not allow communication through secure servers, please place your order by phone at 1-800-335-0229. Please do not email your credit card information. We guarantee your satisfaction with all Telcom-Data merchandise. You may return any item (except special order items) within 30 days of delivery for a refund of the purchase price. Telcom-Data does not refund the cost of shipping. Special order items or items returned due to customer error will be charged a 20% restock fee. We can ship to virtually any address in the world. If you are shipping to a PO Box, APO, or FPO, please call us at 1-800-335-0229 to place your order. Shipping rates are given in real time from UPS which will be viewable once you have placed your order. At any time after your order is placed, you can track your purchases using the package tracking number which can be found in the order confirmation e-mail. In-stock items will be processed within 2 business days. Expedited (2-Day/Next Day) orders placed by 12:00 PM EST will be processed within 1 business day. To calculate estimated delivery date add processing time to transit time. For example, an item that's processed in 2 business days and shipped using Standard shipping (1-5 business days) will arrive in 3-7 business days. Prices are subject to change without notice. 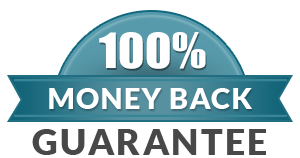 If an item price has changed with the manufacturer or is wrong we will issue a full refund and help you place another order.